Although remote towers bring many benefits and more are being deployed, the possibilities of further digital transformation of the tower go much further, believes Conor Mullan of Think Research. Mullan challenged the audience at the ADB SAFEGATE Aviation Summit in the UK in May 2018 to think differently. The air traffic control tower is an architectural icon at many major airports. Essential for airport operations, the tower has been a story of success for decades. Yet these towers are costly to build and maintain. They can also be hugely under-used at remote, quiet airports that handle just a few flights per day. In recent years, the issues have been addressed by the remote tower, which replaces the traditional building by a control room in which controllers are surrounded by screens fed by cameras mounted on a tall mast at the airport. A remote tower centre can be sited anywhere and can even provide control for multiple airports. 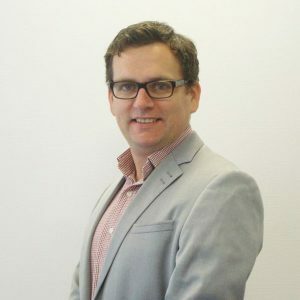 Although remote towers bring many benefits and more are being deployed, the possibilities of further digital transformation of the tower go much further believes Conor Mullan of Think Research, who challenged the audience at the ADB SAFEGATE Aviation Summit in the UK in May 2018 to think differently. The remote tower has proven that a physical tower at the airfield is no longer needed. 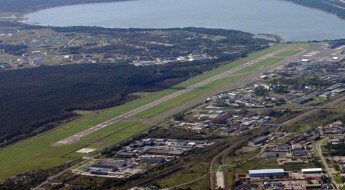 Indeed, it is also demonstrating that the concept of surrounding the controller with a simulated real-life view of the airfield could be restrictive. This single reference viewpoint, in which the controller turns their head to see different views, could be replaced by multiple views of the airport from cameras situated in the best places on the airfield. Not only would this give controllers a much better view of critical points, but it also opens the possibility for more than one airport to be monitored and controlled simultaneously. Mullan also challenges the assumption that the requirement for direct observation of the area under control means being able to see it visually. Today’s technologies and surveillance systems can represent a view of the airfield digitally and enable non-visual means of primary control. “We do this already with an Advanced Surface Movement Guidance and Control System (A-SMGCS) as a visual observation method in certain conditions, so why not use it all the time as the primary means of control? The technology of today is far more accurate than it was when the rules were set many years ago – it’s time to change,” Mullan says. The next step towards the virtual tower is to fully integrate ATC with the rest of the airport. Airport Collaborative Decision Making (A-CDM) is successful and ATC needs to become part of the collaboration and not a silo. Sharing of information with other stakeholders on the airport and even with other airports will be vital. 1. It will not be housed in a traditional tower building. 2. It will be located with other airport actors and stakeholders. 3. Indirect observation will be a primary means of control with direct observation as secondary. 4. 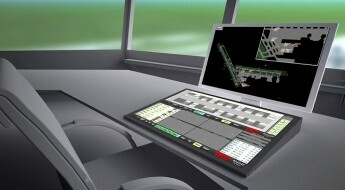 It will use role-based viewpoints, integrated Controller Working Position (iCWP) and information feeds. 5. It will use integrated systems including A-SMGCS, Arrival Manager (AMAN), Departure Manager (DMAN) and decision support. 6. It will use real-time performance monitoring via data fusion and presentation. 7. It will have a means to share services within an airport or across multiple airports. 8. It will be part of holistic, integrated operations and total airport management. Looking to the future, Mullan sees the virtual tower as being an important part of Total Airport Management (TAM) in which the Airport Operations Centre (APOC) has an increasing role. “Having all information in one place unlocks the future and enables us to take advantage of technologies like analytics and artificial intelligence. 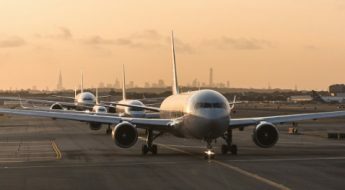 Such a holistic, data-driven approach leads to improved airport performance and empowers airports to be the ground coordinators of their local operations as well as the network. Airports used to be affected by the network, now they can drive it,” Mullan explains. To support the industry as it moves towards more integrated airport operations, ADB SAFEGATE focuses on helping airports to unlock hidden potential to handle more airport traffic by increasing their efficiency. Under its Airport Performance initiative, ADB SAFEGATE analyses an airport’s current situation and recommends, then delivers an optimum mix of intelligent operational and technical solutions and services for the tower, airfield and gate. The aim is to create a future-proof solution that boosts airport performance through improved efficiency, sustainability and safety. ADB SAFEGATE is a leading provider of intelligent solutions that deliver superior airport performance and operations, and jointly identify and solve bottlenecks. Our consultative approach enables airports to improve efficiency, enhance safety and environmental sustainability, as well as reduce operational costs. Our portfolio includes solutions and services that harmonize airport performance, tackling every aspect of traffic handling and guidance, from approach, runway and taxiway lighting, to tower-based traffic control systems and intelligent gate and docking automation. ADB SAFEGATE has 1,000+ employees in more than 20 countries and serves some 2,500+ airports.